2016 ended up being a year where I thought my personal life drew me away from the blog more than usual. So I didn’t think I created all that much. Until I pulled it together all in one blog post! Well, this just made me happy. I think it really helps to reflect back on the year, to view what you really have accomplished. Even if you aren’t a blogger, try writing down the major accomplishments you’ve done. It’s quite gratifying! My Christmas season this year also started a little late. I gifted myself a trip to Maui for Christmas, then returned home on the 27th to begin Christmas at home. Talk about the best of both worlds! So… while my son and I are still ‘super productive’ playing board games and overeating this week, here’s a quick summary of what I deem my favourite junk projects for 2016. Moving forward into 2017, I plan to do more ‘finish the house’ posts, completing full rooms, such as completing the boy’s teen bedroom, farmhouse styled framework, and (egads) finish the tile in my front entry. So I’ll do some tiling posts too. I also hope to break into some video tutorials. Perhaps dive into that ‘how to work with tools’ thing I promised years ago? And of course, my best served stencil tips. I also realize a lot of my projects include my own line of stencils. For that reason, there’s always more to those blog posts. Each one carries a unique decorating idea that doesn’t require the stencils as mandatory. But I do plan on incorporating more projects without as well moving forward. That said, I’d love to hear what YOU would like to learn or see in 2017! Just reply in comments. I look forward to each and every suggestion! So… here’s to 2016… and an even more productive 2017! 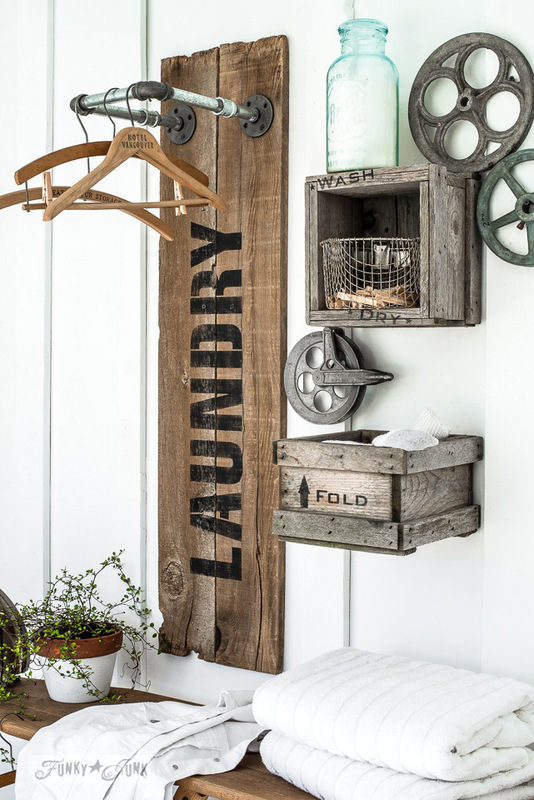 Challenged to deal with a small laundry room with nowhere to hang clothes, this compact hanging station fit just right! And is super simple to make. Also includes unique hanger hooks. 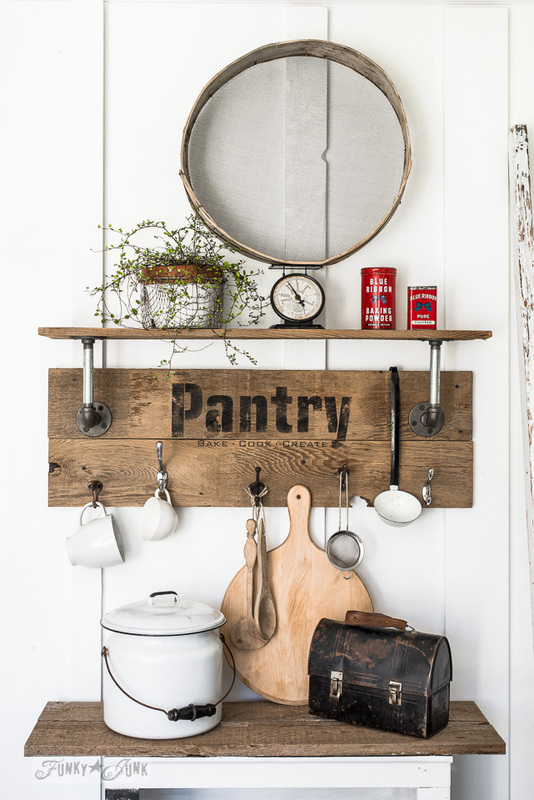 My dream pantry is pipe and wood floor to ceiling shelves. But this little mini version can happen anytime, any where! 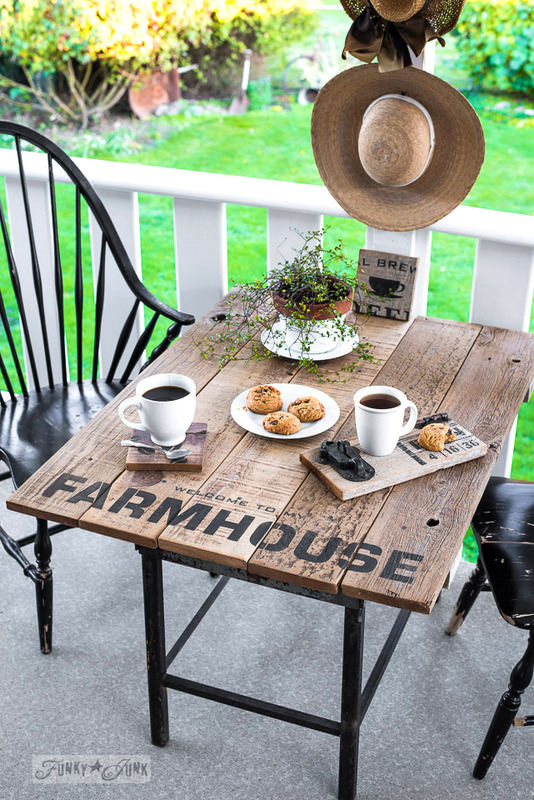 An old metal curb side table morphed instantly into a little farmhouse styled table. Coffee’s served! 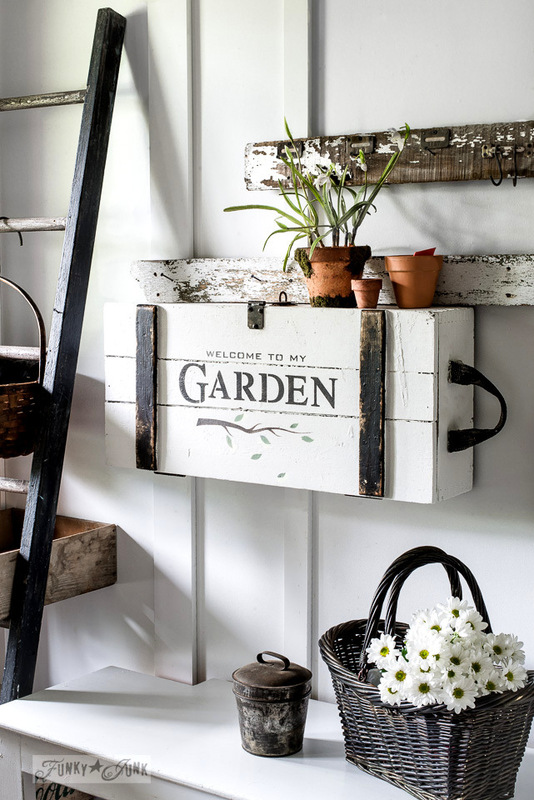 No need for curtains, when you house an old sign, complete with junk styled hanging flowers. My kinda window treatment! The shed needed a slight revamp. 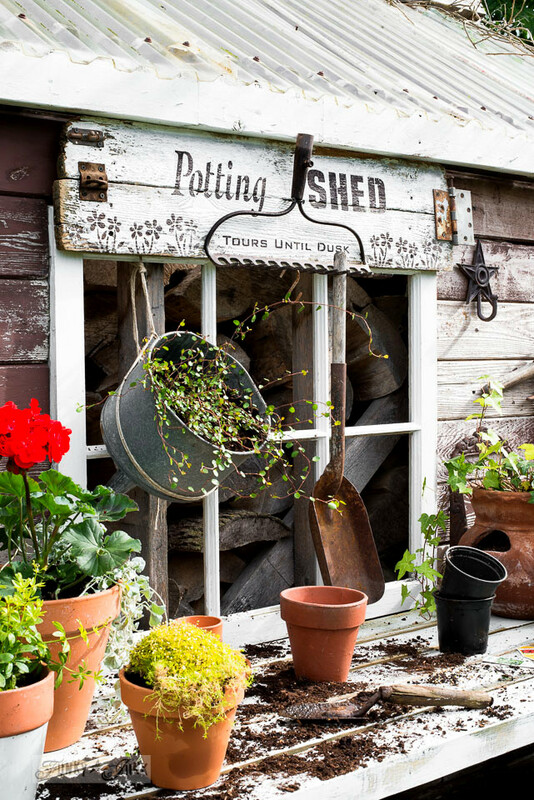 So a productive Potting Shed AND instant sawhorse potting bench added even more garden charm. 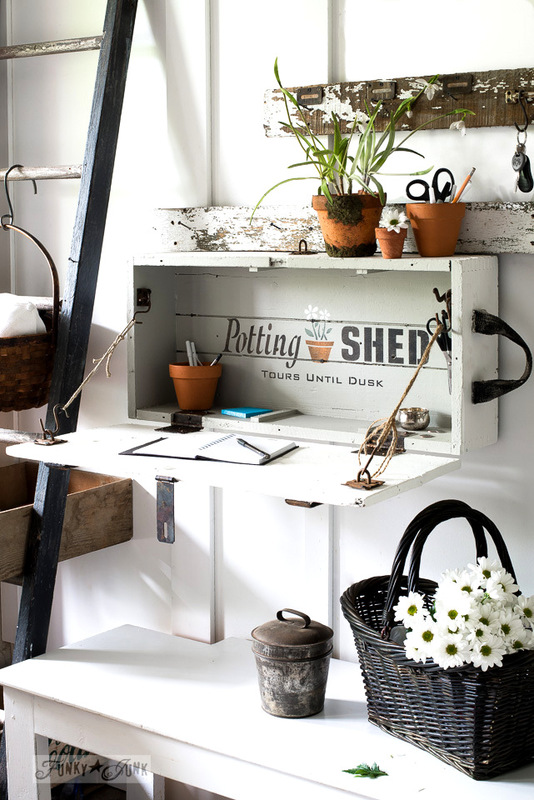 Desiring to summer up the front entry, this little crate mounted to a wall became the perfect entry table writing station, with the help of two cute garden themed stencils. But the super fun part? Two different looks, one for inside, and one for out! If you are also one that requires a grocery list in hand at all times, this soil sifter list catcher may work for you! 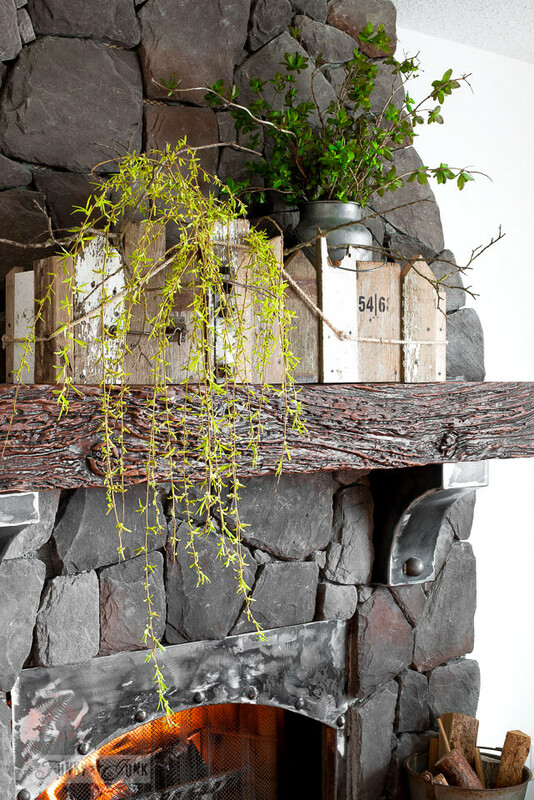 A collision of reclaimed wood created one funky window box planter, fitting perfectly on the fireplace mantel. 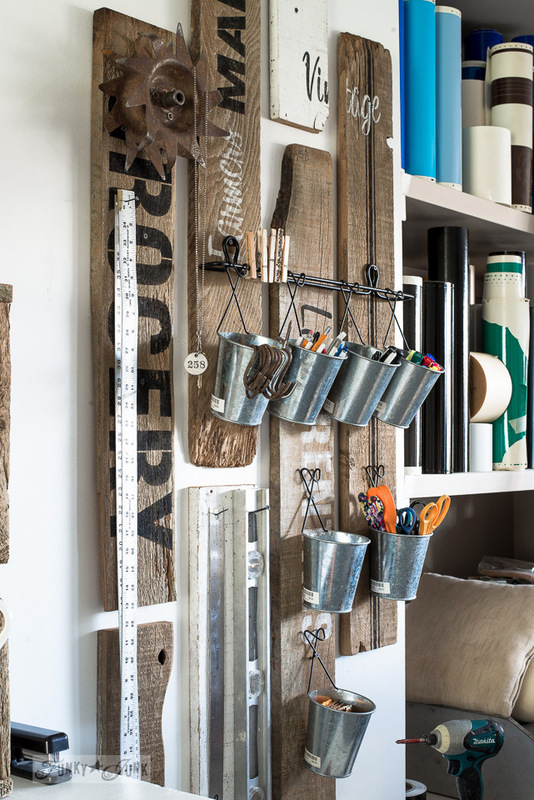 Challenged to work with 2x4s, an industrial pipe shelf was custom created to fit overtop of the large day planner. 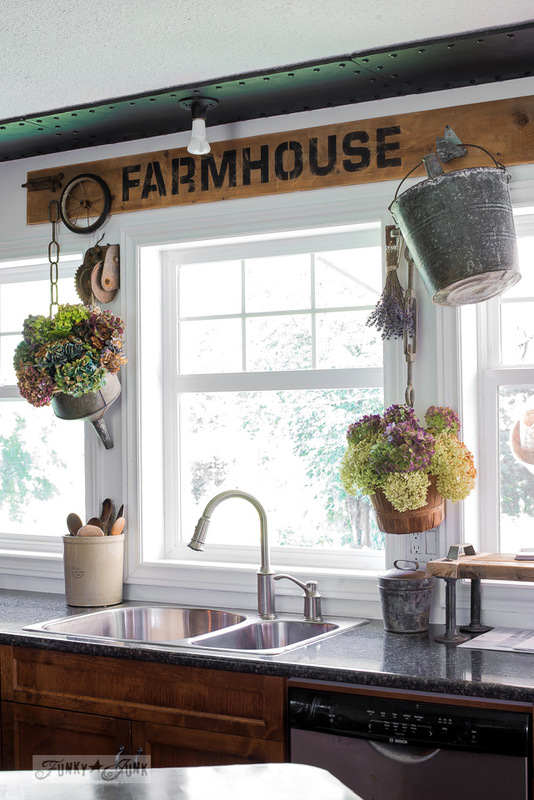 A fantastic kitchen counter space saver, loaded with industrial charm. 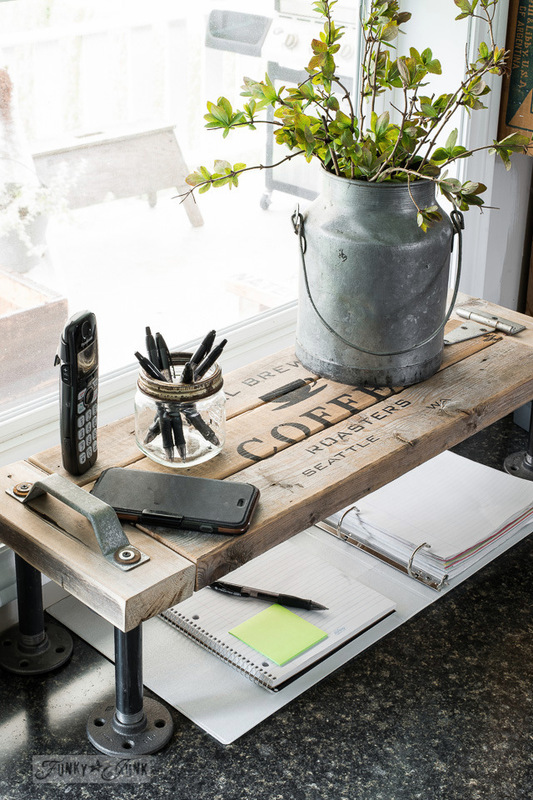 Random signed up planks are grouped together, to create a rustic office organization system. Art and function, all in one. 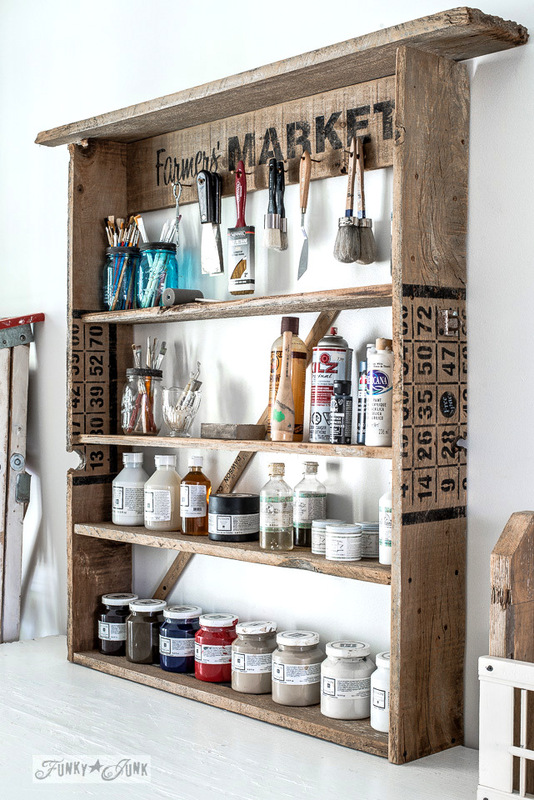 Random sign boards were cut down, to create a simple shelf, to help organize paint supplies. 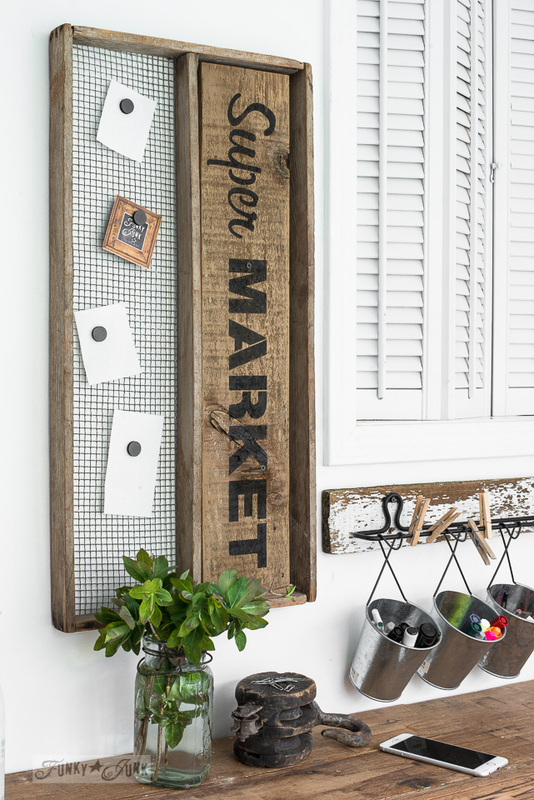 A little rope and hot glue is all that’s needed to create this simple, custom sign. What would yours say? Needing a place for stencil storage, 2x4s and closet dowels became the perfect fix for a custom ladder. Inspired by those that actually bake, fake it till you make it with a cute BAKERY sign of your own! Space them slightly apart, so you can hang your baking utinsels or coffee mugs. 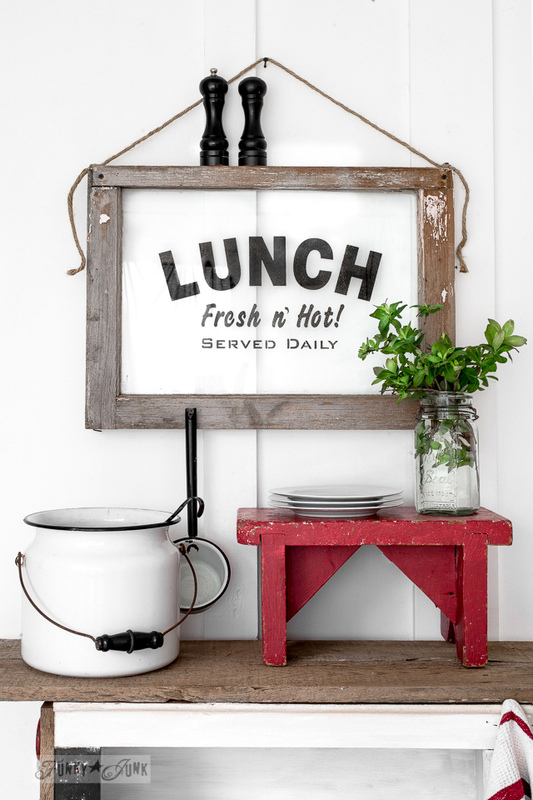 An old diner styled LUNCH sign fit so perfectly on this old window. No need for a sign board this round! An old TV tray was painted, then revamped to house a festive tray. Then simply remove it for all the other 364 days of the year. 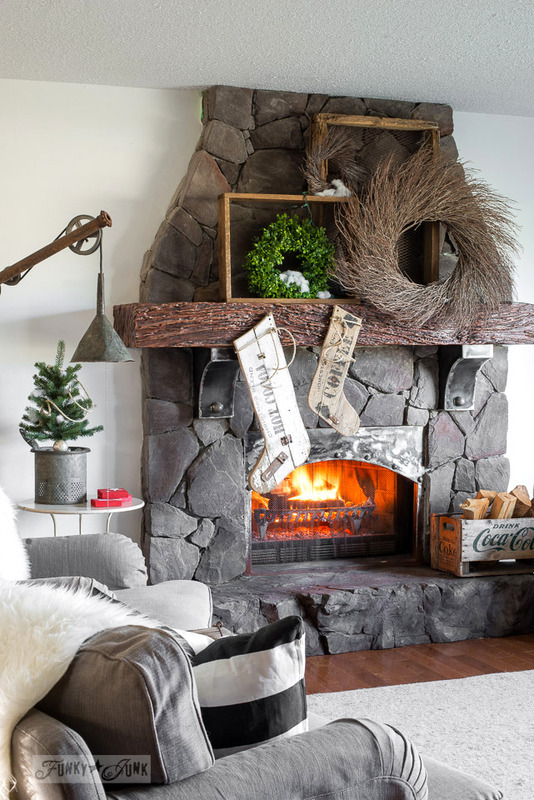 This post showcases the making of the wooden stockings,wreath filled fireplace. You can take the entire living room tour HERE. 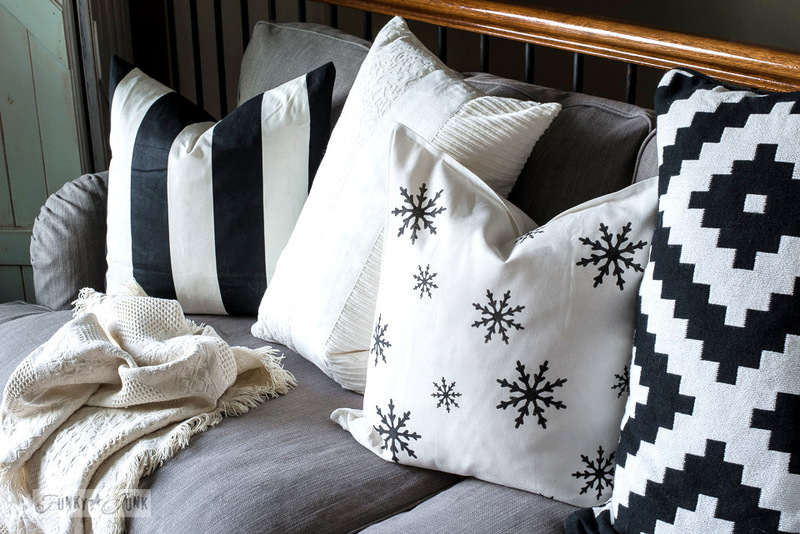 Desiring to stay with a black and white theme throughout Christmas, this snowflake pillow design added the perfect wintery touch! Extends well beyond the Christmas season. 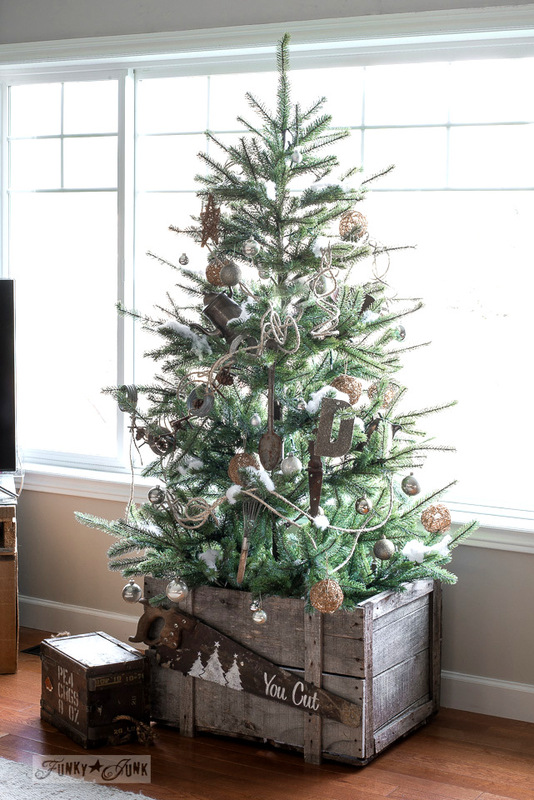 A faux tree in an old crate looks anything but faux! 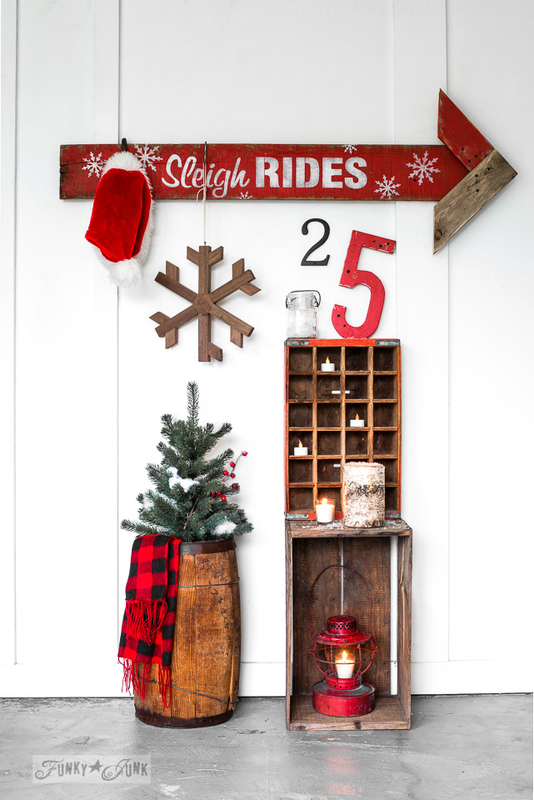 Add a cute old rusty saw for a fun Christmas element. 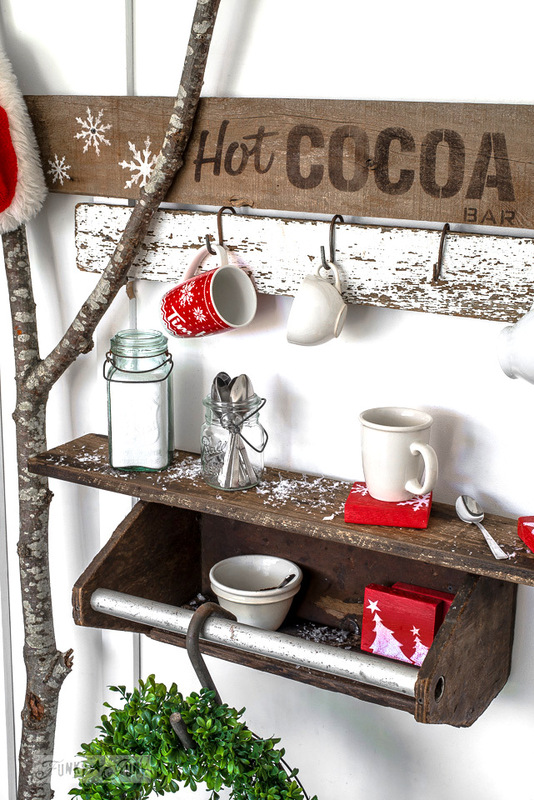 ‘Tis the season for hot cocoa, so a toolbox came to the rescue, mounted as a productive shelf. Bring on those marshmallows! 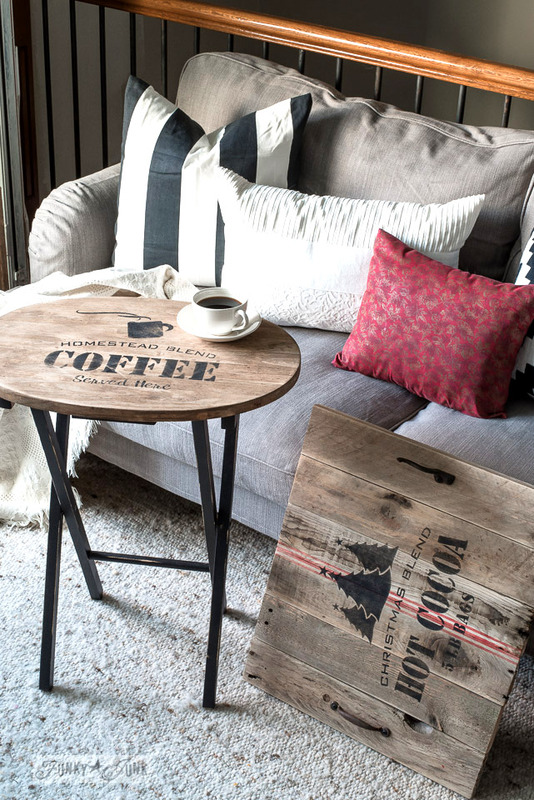 Made with Old Sign Stencils. 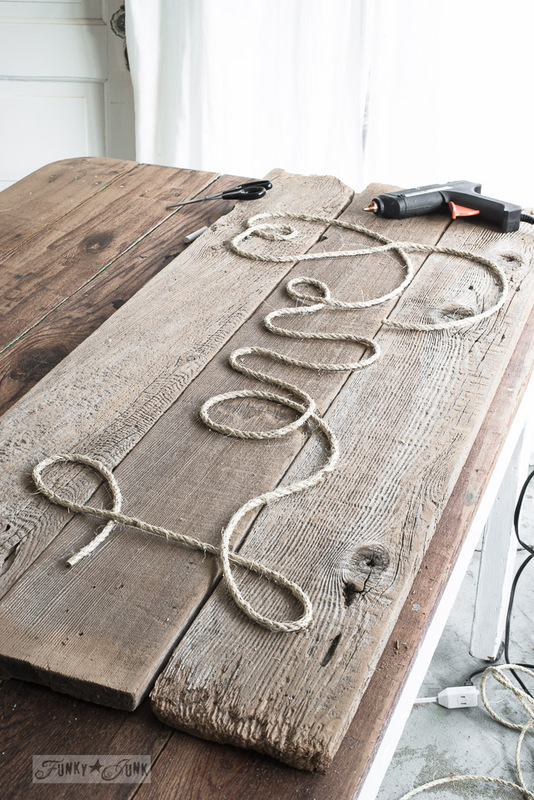 Super easy way to morph any plain plank of wood into a creative arrow sign. 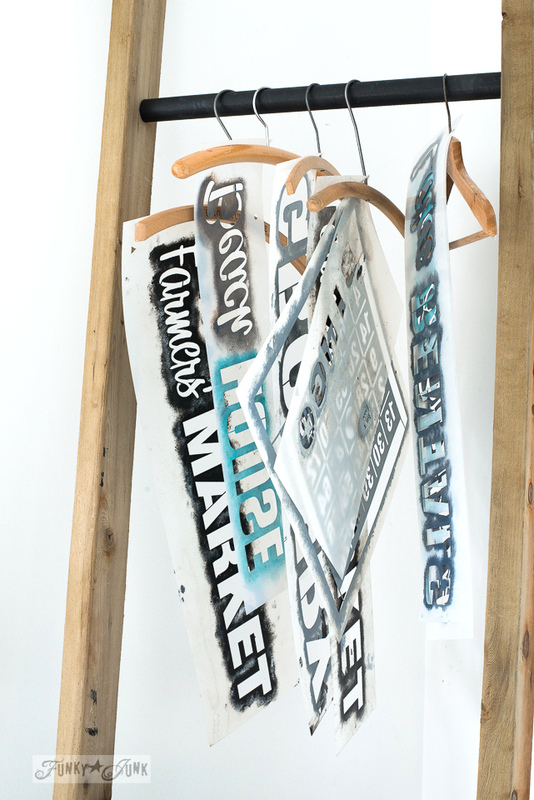 Sleigh Rides and snowflakes are made with Old Sign Stencils, all info in post. Hope you enjoyed the round up! And here’s to an even more productive, junk filled 2017… for ALL of us! I also wish for you a very Happy New Year! Thank you for continuing to follow along, and for your never ending support, even when times got a little tough and quiet in these parts. This blog has really become a little more than just projects, so I’ll share those other unique highlights in another post soon too! Keep up the good work. I enjoy seeing what ideas you come up with for all those leftover bits and pieces and long forgotten finds. Looking back you truly get to see all that you’ve accomplished! I would love to see tutorials on working with power tools to create some of your projects..
Great ideas. 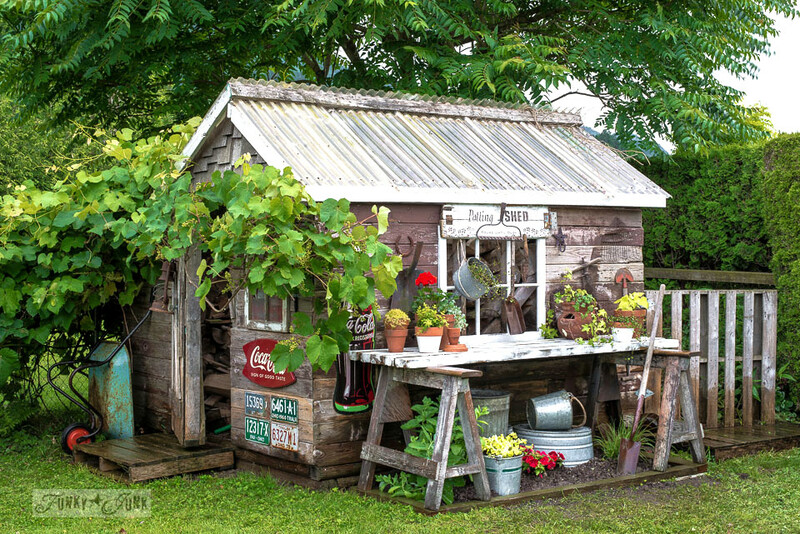 Like the garden shed ideas. Will build one this summer and want ideas! So many cute ideas. I enjoy the re-inventing. 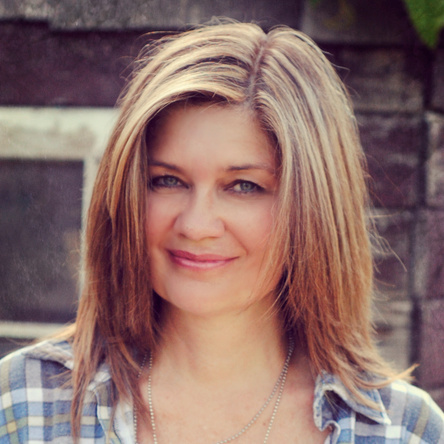 Donna – I really love reading your blog and getting inspiration from your posts. There is no other blog that I enjoy reading as much as yours. I believe you have a following of kindred spirits out here! I’m definitely looking forward to 2017 and your wonderful posts and stories. 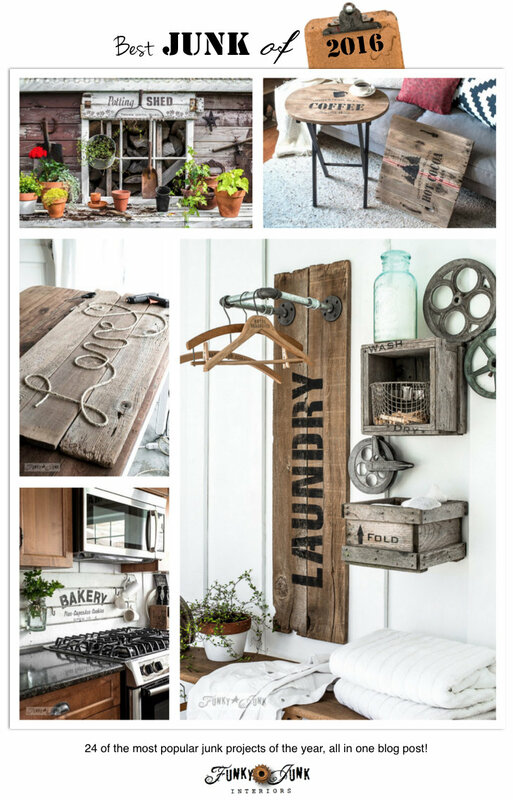 WOW where to begin: entry coat rack, patio table, telephone/workbook counter shelf, hooks and ladders and stencils and etc:. But most of all how about videos on power tools. I got my hubby a few Dewalt sets and I would love to use them and not be afraid of them. Hand tools I get and use and as I get older it seems to be a little harder. So power tools is the wave of the future! You have accomplished a lot this year and gone to so many places. Pat yourself on the back girl and look forward to 2017. You are doing great Donna! 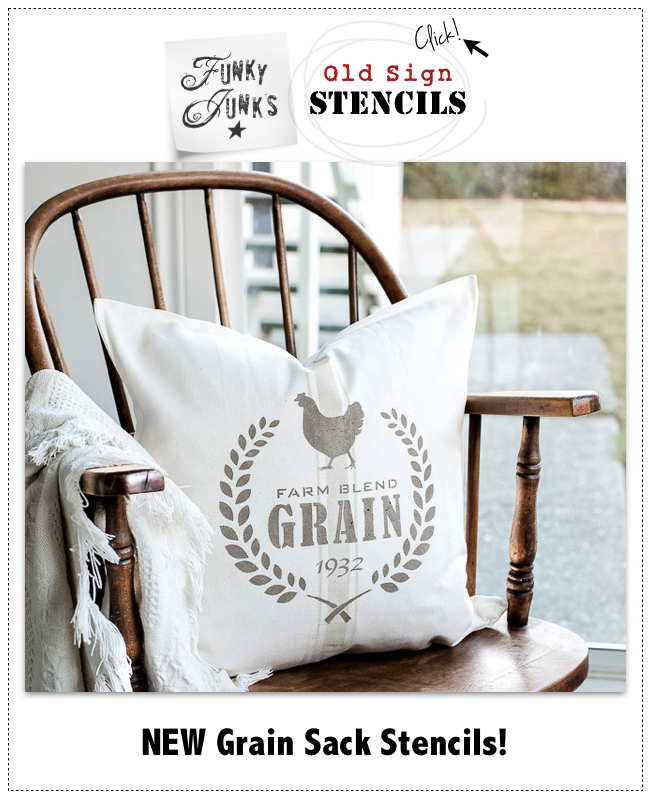 Would love to see more uses for stencils and how-to videos for power tools! Thanks and Welcome back to Canada! Happy New to you as well.!! 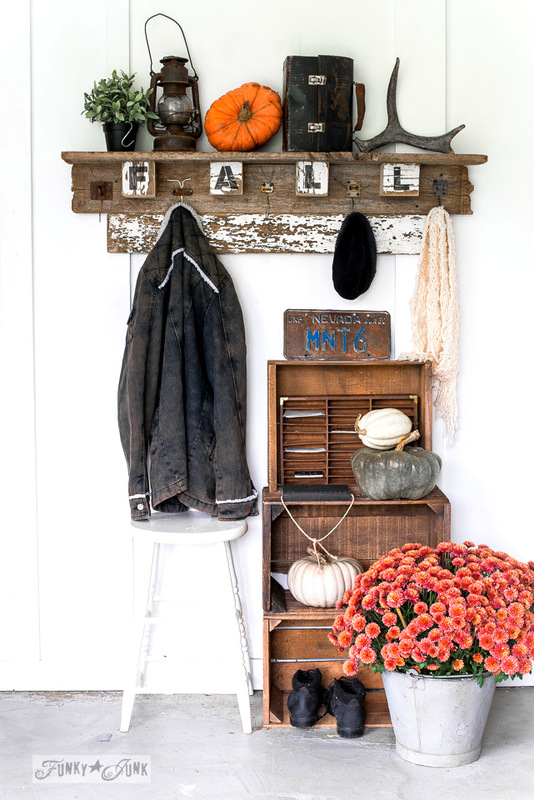 I was going to say the fall shelf was my favorite but then I kept scrolling and forgot about all the awesome JUNK you created! I NEED one of those “sleigh ride” signs next year! It’s a must. I’ve always loved your ideas! Best wishes to you and your family in the new year! YES, please… power tool tutorials! I want/crave to be creative on a larger scale! L❤️VE & ADMIRE… your blog, your style, your talent, your ramblings, your adventures!! What can I say? I love your website and am looking forward to 2017. I do look forward to any video tutorials you may do on using tools. My husband got me power tools for Christmas. My sons were so funny. They said I made them look like sissies. Under the tree was their computer games, clothes, etc. and there I was with my paint, brushes, orbital hand sander and a drill that I can use that fits me. Needless to say, I was very happy! If I could just get better at finding the studs. Next thing I’m going to get is a stud finder. They are never where you think they would be. And I did, ready for this, spray paint my Christmas tree white. Not heavy, just lightly misted, and was very happy with it. It wasn’t so dark. I’m enjoying it so much, I’m going to leave it up for a while. Thanks for all your time you put into your website and for taking the time to respond when you do. It’s much appreciated. Happy New Year! 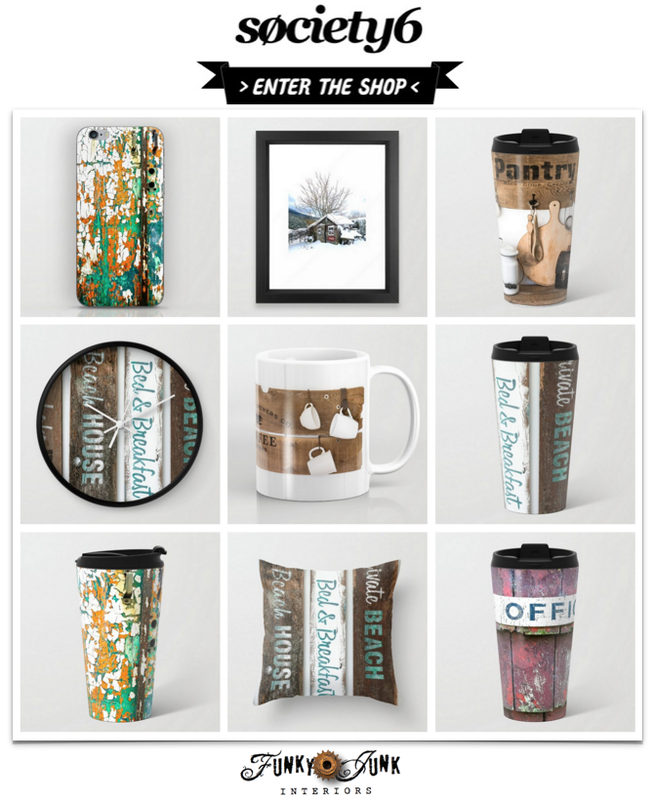 I love the stencils, but I’d like to see you go back to working with more antique/junk finds, which is how I stumbled across your site in the past. 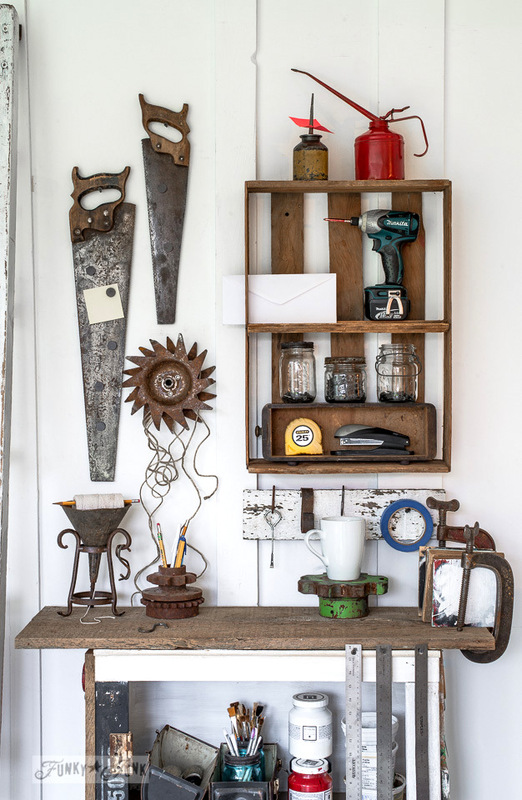 I love the antiques that you find and finding a way to incorporate into today’s living, and re purposing for a farmhouse style. I also love the furniture builds, keep that up! I’m always a fan of finding an old something-or-other at an antique store and re-purposing it into something useful or giving it new life. Not everyone can take junk or antiques and put it into a house of today’s times! It takes skill to blend the old with the “new”. Yep, agree! I have some things I’ve been wanting to (try and) build, so this will be the year I push harder for that. I love everything you have created and your displays when complete. You inspire and motivate me to get things done. I wanted to make the wood stockings for our fireplace but did not have time. Will save that for next year. Also, would love to visit the place near your home that has all the rusty stuff. Ohhhh you wish for another shopping trip to Granny and Grumpa’s I take it? I could certainly do that! Thanks for your input! Happy New Year! You my friend are to say the least one busy and very creative person. I have enjoyed all your creations last year and look forward to your new ones to come in 2017. 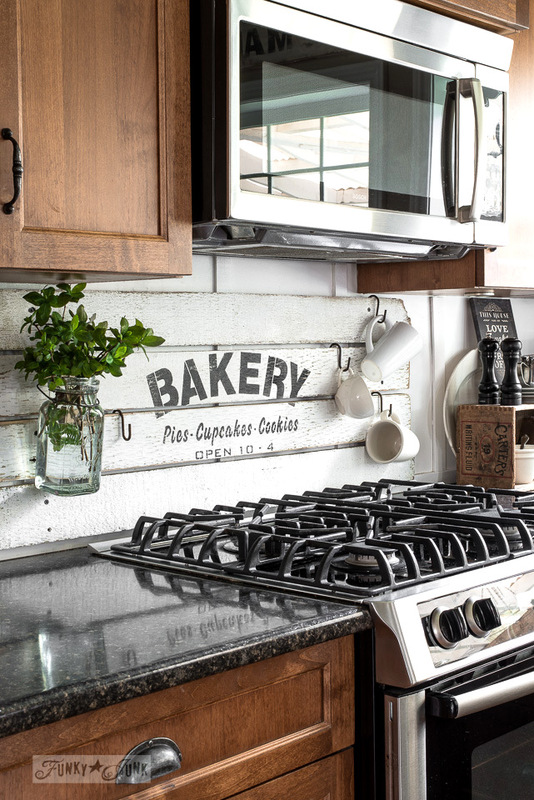 My personal piece created was the Wood plank styled Bakery mug holder sign over the stove. Wow Greg, I was just looking at the Bakery sign today, wondering what my new 2017 look will be. haha Maybe I should leave it! Thanks so much for the kudos, and am honoured that you continue to follow along!